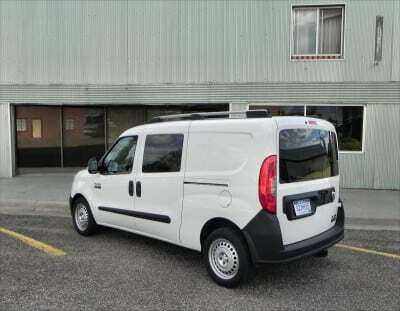 New for 2015, the ProMaster City is a compact cargo and passenger van from Ram Trucks. It features right-sizing, strong ergonomic appeal, and styling just European enough to look suspicious. 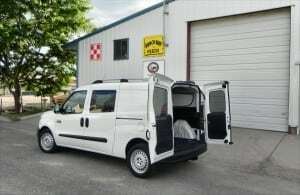 The market for compact-sized commercial vans is growing quickly. Just a few years ago, there were literally no options in the segment. 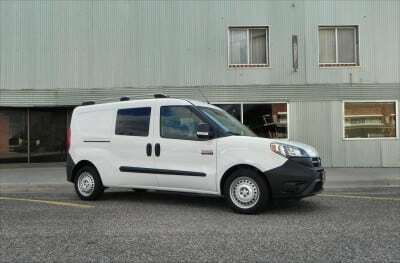 Today there are several with the new 2015 Ram ProMaster City being the latest. 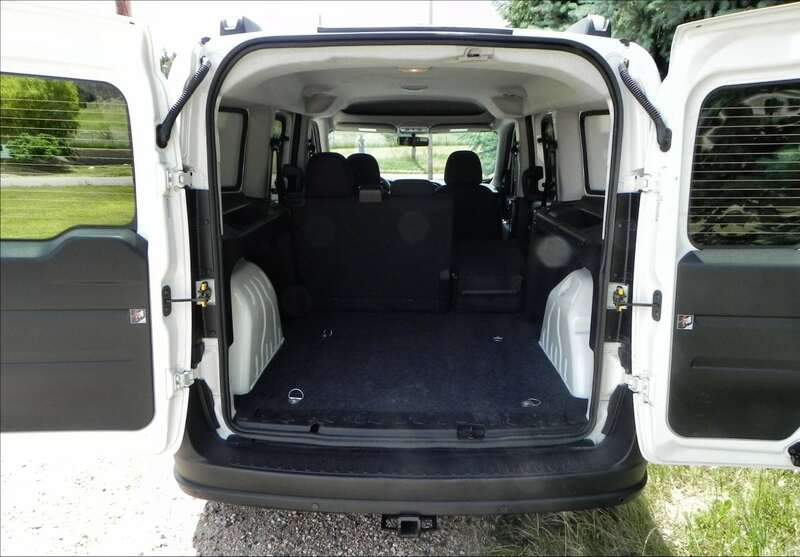 The ProMaster City is available as either a pure cargo van or a five-seat passenger van (“Wagon”) with plenty of cargo space left over. The object of the compact cargo van is to drive like a car, perform like a small truck, and be easy to get around in urban environments with. It should be easy to park, quick in traffic, and available as a low-cost down-trimmed alternative to a standard vehicle that could otherwise accomplish much the same purpose. Ergonomics geared towards daily use and working needs are a must. The 2015 ProMaster City fits the bill on all of those counts. It’s of the right size, has a car’s chassis and handling characteristics, and is purpose-built for work as a delivery van and people hauler. 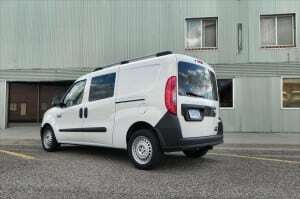 There’s no legitimate way to claim that the function-oriented Ram ProMaster City is pretty. It’s not. It has an almost universal ugliness for all onlookers. That said, none of the Ram’s competitors can say otherwise. This isn’t a vehicle segment aimed towards beauty contests. It’s a working segment that demands function above all else. 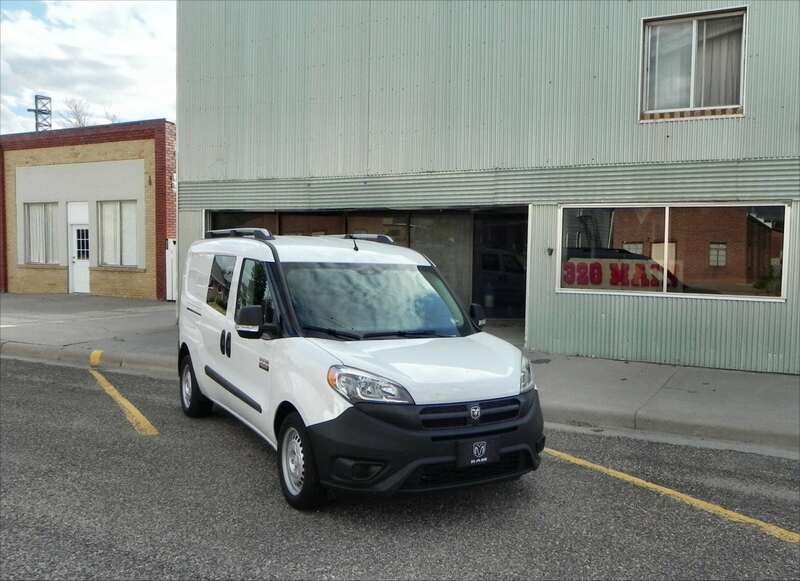 Everything about the Ram ProMaster City’s look is focused on specific needs. 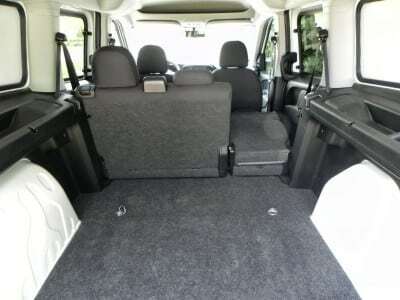 The square, boxy look is to accommodate a square, easy-access cargo space. 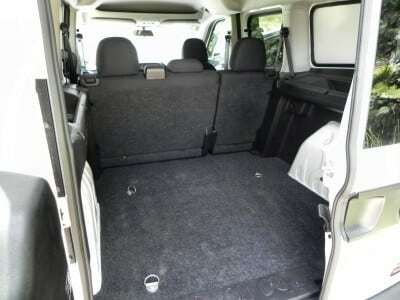 The rear double-doors open to allow access to a low loading deck and square, easily-filled cargo area. The side sliding doors have the same purpose, aimed towards allowing easy access to the interior and its cargo or people. At front, the ProMaster City has a steep windscreen for better aerodynamics and a somewhat sloped hood and a truck-like grille and fascia. Body details along the lower end create some styling and a flat panel at the rear quarter gives plenty of space for a corporate logo. Optional roof rails give more function if needed. 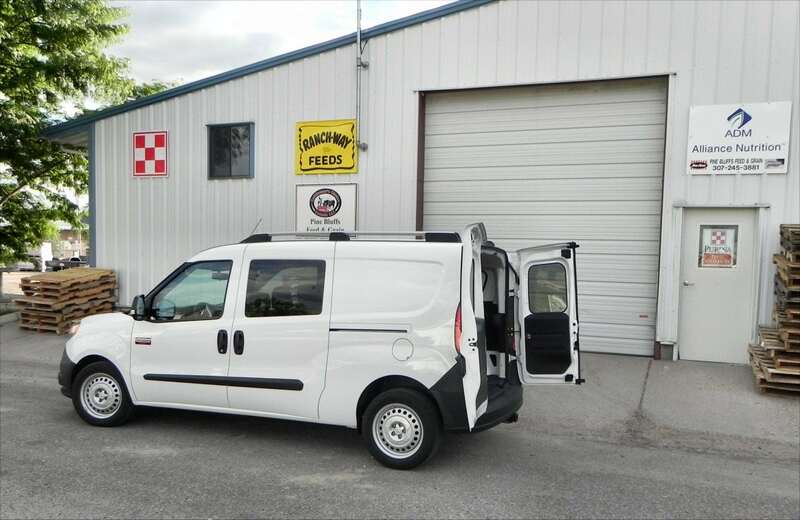 Everything about the 2015 ProMaster City is focused on getting the job done. The interior of the ProMaster City is quick and dirty without any excess equipment. 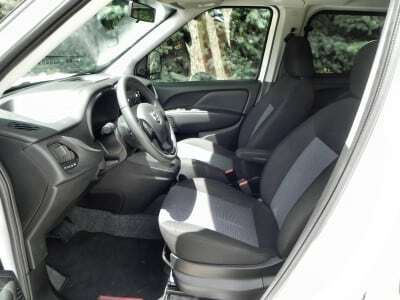 The front seating is comfortable and just adjustable enough to be suited to nearly any driver or front passenger. 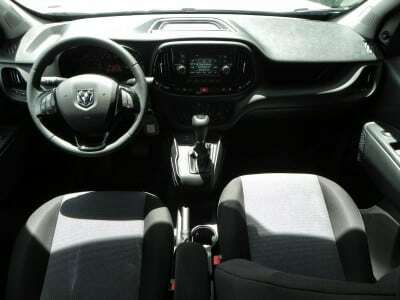 The driver’s seating position is excellent and visibility is good, even without access to the rearview mirror and rear windows. The large, square side mirrors are just right for the van’s size, though we’d suggest adding fish-eye mirrors to the inside corners for added blind spot visibility. In the second row, if equipped, seating is a little more about getting bodies in place than about making them comfortable. 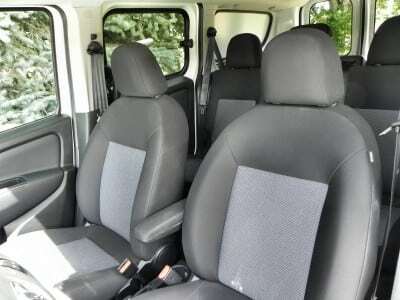 If the driver or front passenger are tall, those in the second row may find legroom is a bit short. The bench seat is not the most conforming either. We’d not recommend the ProMaster City in the passenger configuration as a regular family vehicle. The cargo space in the 2015 ProMaster City is excellent, though, with plenty of versatility in configuration. There is a lot of potential for many uses back there. Straight cargo hauling is what it’s set up for by default, but adding shelving, racks, or other things is an easy proposition given the interior’s makeup. 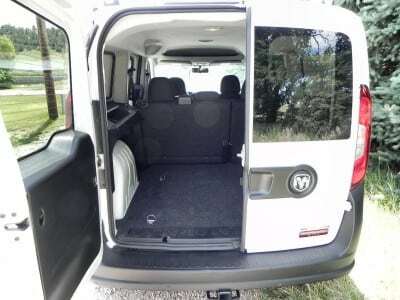 The loading floor is low and wide and the rear doors swing out flat for full access when needed. The wheel wells are flat and angled rather than rounded, making them more suitable for building shelves around or stacking items against. Finally, the square build overall allows items to be stacked to utilize the entire cubic footage of the van’s interior. The 2015 Ram ProMaster City offers best-in-class cargo of 131.7 cubic feet without the second row, 74.1 cubes with the second row, and 101.7 cubic feet with rear seats installed but folded. The van’s roof height is nearly 52 inches and there are over 48 inches between the wheel wells, allowing a pallet to be inserted through the rear doors. 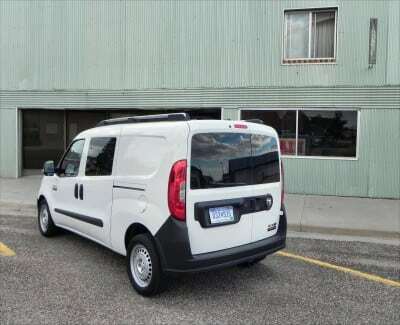 Some things we’d like to see in the ProMaster City to boost its versatility are rear doors that open 360 degrees to pin flat against the van for potential docking (as in the full-sized Ram ProMaster van). We’d also like to see less plastic and more railing options for the interior in order to accommodate racks and attached shelving if desired. Moreover, if this van were to be used as a taxi or shuttle, the rear seating option would need to be far superior to what it is now. Finally, the cargo-only version of the van should have the option of a pallet-ready sliding door that can open wide enough for a pallet to be inserted from the side. The 2015 Ram ProMaster City is otherwise nearly perfect for almost all applications. We especially liked the thoughtful positioning of tie-downs in the rear area, located just right to set a pallet between and tie it off. The granny box above the driver is great for paperwork, hats, lunch boxes, etc. 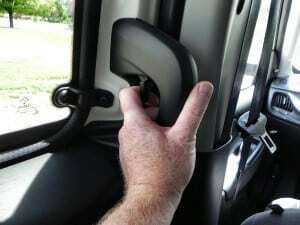 The grab-handle/trigger-pull rear door releases are a thoughtful touch, allowing rear passengers to hold onto something while also protecting the door handle so it’s not easily bumped or knocked by things shoved into the back seats. The built-in readiness for a cargo cage behind the front seats is another boon. 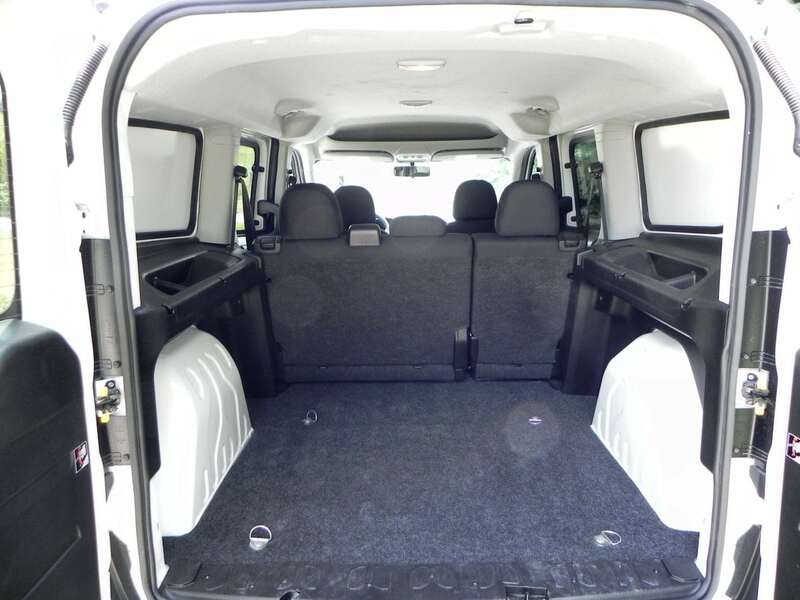 The 2015 Ram ProMaster City is powered by a 2.4-liter four-cylinder engine common to the Chrysler-Dodge family. This engine outputs 178 horsepower and 174 pound-feet of torque and runs through a nine-speed automatic transmission. This gives great fuel economy for the muscle that engine provides, with the EPA rating it at 24 mpg combined (21 in the city, 29 on the highway). The Ram ProMaster City is rated for up to 1,883 pounds of payload in its cargo configuration and has a towing capacity of up to 2,000 pounds. That’s class-leading payload and only the Ford Transit Connect matches the towing capability of the Ram. In the real world, we achieved an average of 25 mpg with most of our driving being on the highway and freeway and at high altitude. For about 100 miles of that total driving, we carried 800 pounds of cargo tied to the rear deck and that hauling is included in our overall, real-world fuel returns. The ProMaster City is easy to drive and remarkably maneuverable for such a tall vehicle. The large side mirrors and integrated backup camera help, but the high percentage of wheelbase to vehicle length is a big factor here. Parking the ProMaster City in most situations, including tight parallels, is simple. 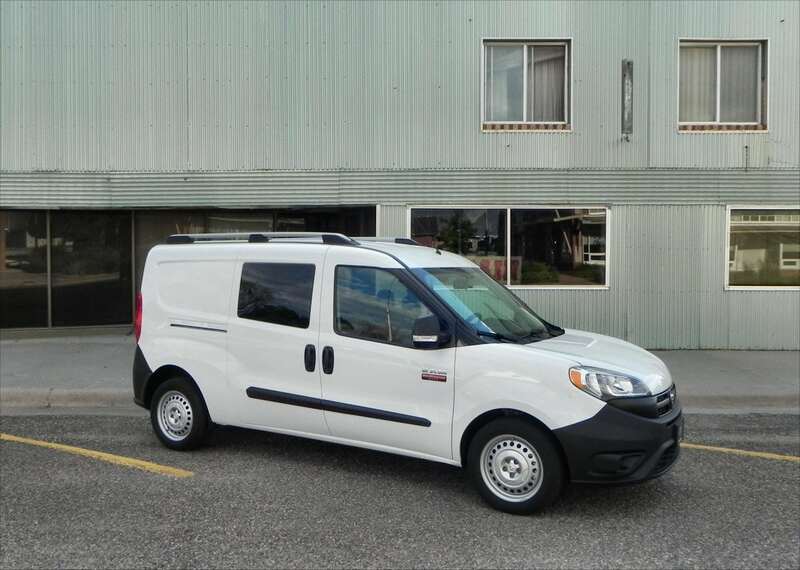 Out on the highway, the 2015 ProMaster City is not the most comfortable vehicle you can drive, but it’s very good for the class. Compared to other cargo vans we’ve driven, the ProMaster City has a smooth highway glide and is quieter than most. Acceleration is good, though not sporty by any means. Even with a load in the cargo area, the Ram had little trouble achieving highway speeds or accelerating from a stop. Admittedly our load was lighter than the van’s capacity, but it was likely on par with what most utilizing this passenger version of the van would carry. 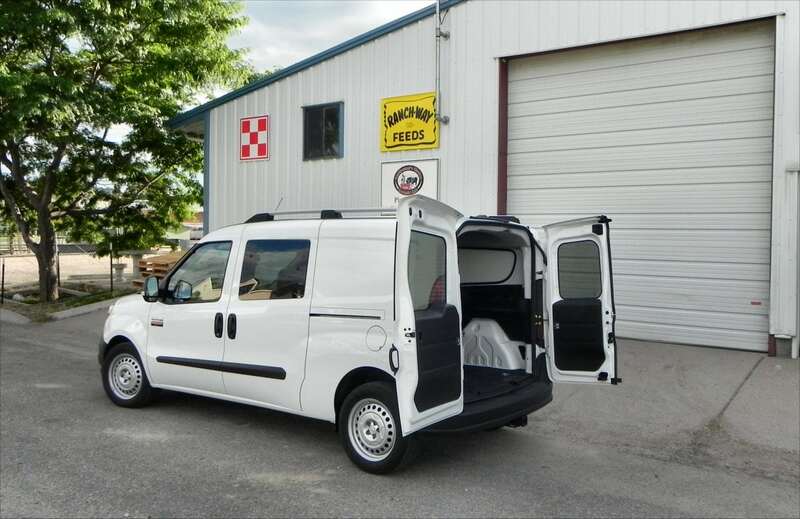 Key competitors in the compact cargo van market are the Ford Transit Connect, which offers a similar value proposition to the Ram ProMaster City. The Nissan NV200 is easier to drive, but has less hauling and towing capacity than the Ram. 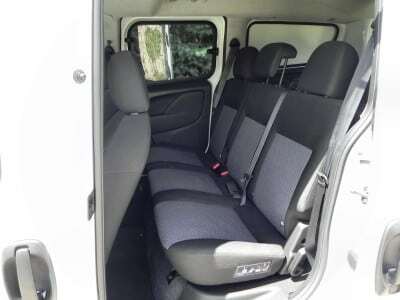 The Chevrolet City Express is smaller than the Ram and also has less capability. Each of these options has its strong points and none can match the highway driving appeal of the Ram ProMaster City, especially when loaded. Excellent daily use and working ergonomics. Solid value proposition for commercial use. 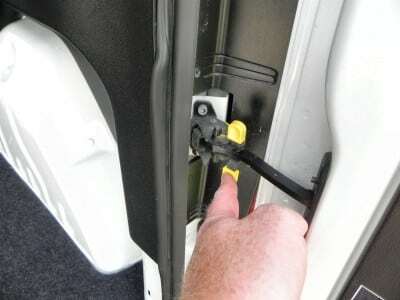 Rear doors do not open to 360-flat. Rear passenger option (Wagon) is uncomfortable. Overall, we give the 2015 Ram ProMaster City a lot of credit for its work focus and daily use ergonomics. 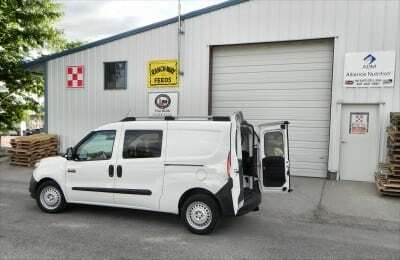 This is a solid little workhorse that is perfectly maneuverable in town and capable of efficiently running down the highway to get to the job. Ram has a winner here. The Ram ProMaster City was a manufacturer’s press loan for about a week. During that time, a total of 380 miles were put on the vehicle, with about 100 of them being loaded with cargo. Driving consisted of a heavy freeway mix with some in-town and urban use.